SANDBOX Gaming and DAMWON Gaming will face off in the opening match of the League of Legends Champions Korea Spring Play-offs on Wednesday. The prize awaiting the winners is a meeting with KING-ZONE DragonX. The teams, both of which are in their rookie year in the LCK, enter the play-offs with confidence high after a winning end to the regular season. SANDBOX may hold the psychological advantage having won both match-ups during the regular campaign. That is reflected in the betting market with SANDBOX the 1.662 favourites at Dafabet and DAMWON available at 2.240. SANDBOX are the higher seeds having ended the regular season with an impressive 13-5 record. They have been a consistent team all split long, with much of the hype entering the year focusing on their Jungler OnFleek and Top-laner Summit. The latter was able to rack up 900 MVP points across the split, being a dominant force in a Top lane filled with high-level players, Khan and Kiin to name just a couple. Summit has shown the versatility needed within the Top lane, although his carry play, in particular, could be on display given the current meta. The unknown for SANDBOX, even now, is how the Bottom lane will perform. Joker is primarily in the squad for his shot-calling abilities. He is the oldest player in the league with up and down mechanical abilities. His partner is Marksman Ghost, who has always been a talented player but one who has tended to fall when the spotlight shines the brightest. There is no pressure quite like the weight of an LCK play-off which requires a multitude of series to even make it to the final, so Ghost could yet again stumble. However, he has seen significant growth in every other aspect while on this squad, and given the prowess coming from the top side of the map, the burden is not completely on him to carry this squad through, in contrast to his time on previous teams. Opponents DAMWON lost both times the sides met in the regular season, 2-1 the score on each occasion. Much anticipation surrounded DAMWON at the start of the year, with Nuguri, Canyon and ShowMaker all having made their mark in Challengers Korea previously. While Nuguri is an incredibly-skilled player, he does at times make mistakes in terms of risky plays. This led to a late-season addition in the shape of veteran Flame. Ever since, Flame has seen a vast majority of the playing time, due to the consistency, versatility and wealth of experience he brings to this squad as one of the best Top-laners to ever play the game. DAMWON have been more than willing to utilise two players in both the Top lane and Jungle, and that could be something that comes into play during the play-offs, especially given the fact that SANDBOX have no substitutes while DAMWON have the option of shuffling nine players. Manning the Mid lane is the aforementioned ShowMaker, who has done a decent job of living up to his name thus far. 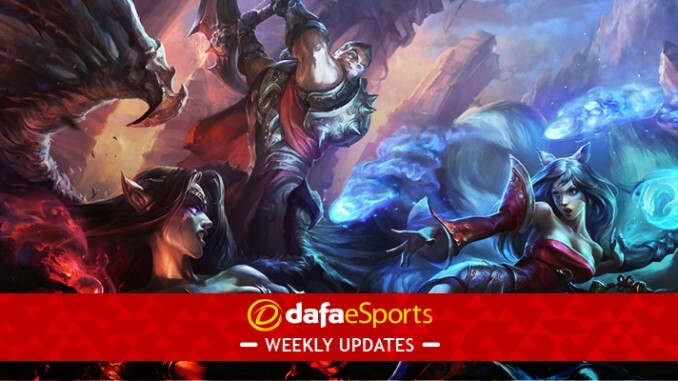 Known originally for his pocket pick Katarina, which he did not bring out during the regular season, ShowMaker, while not making quite enough impact to get his team higher than fifth, is an exciting player to watch for his carry potential which could be massive in his first play-off series. What is so interesting about this match-up is that both teams have strength outside of their Bottom lanes, with DAMWON relying on Nuclear more so to clean things up after space is created by other members of the squad. Nuclear, to be fair, is much improved from his time in Europe, but he could face the same pressure issues as Ghost which each trying to make a new name for himself.